Our most aggressive amplifier yet is perfect for modern & death metal tones, without sacrificing the pristine cleans & touch sensitive crunch Revv is known for. The 100P borrows the 120’s extremely tight and clear Purple Channel, & can easily be biased to accept your favorite tube such as EL34s or KT88s. 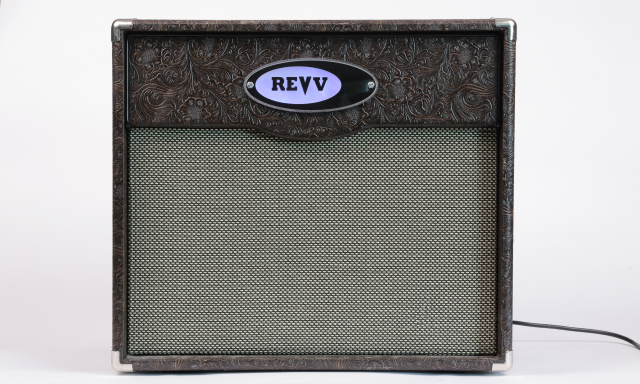 Still features full midi & non-midi digital switching, all-analog tube tone, & multiple voices & gain stages. Black Taurus and Hot White Bronco are no-upcharge tolex options. Footswitch matches chassis. 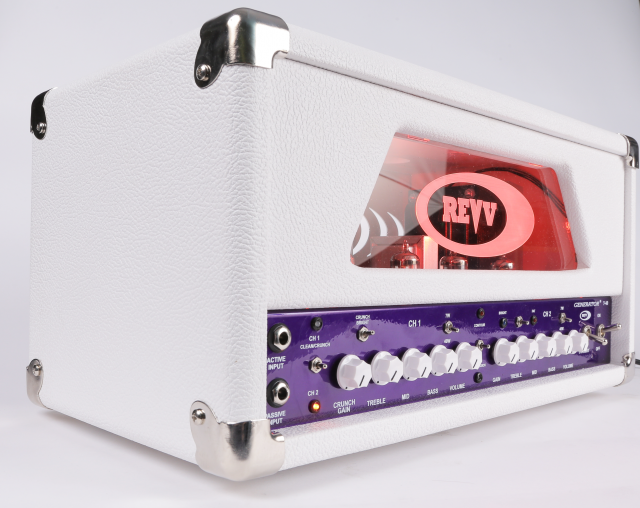 EXCEPT purple – purple chassis amps receive a white footswitch. Pictured is a one-off build for NAMM 2018 when the 100P was released.